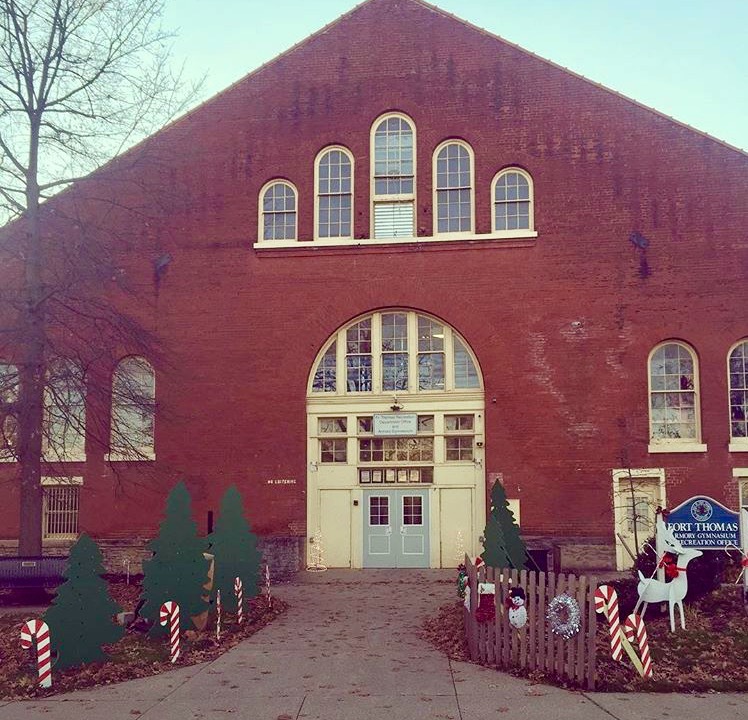 Santa House held at Fort Thomas Armory. FTM file. Well, the weather outside may not be frightful, but this year’s Santa House is most assuredly going to be delightful! So, let’s go, so let’s go, so let’s go! 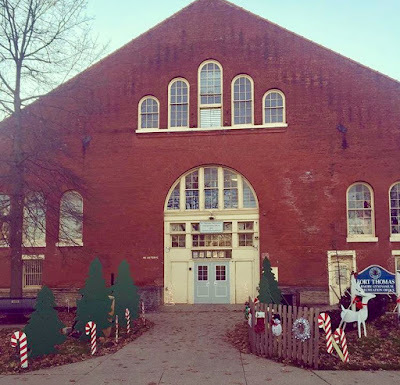 Santa House, the annual Moyer Elementary School fundraiser and community holiday-themed celebration, will be Friday November 18th and Saturday November 19th from 6-9 p.m. on Friday and 10 a.m. - 3 p.m. on Saturday. As was the case last year (for the first time), the fundraiser will be held at the Armory at Tower Park in Fort Thomas. And if the change meant anything last year, this year promises to be an awesome event! For those loyal readers or Santa House enthusiasts, you’ll remember that historically, Santa House has transformed the Moyer Elementary gym, classrooms, stage, and cafeteria into a winter wonderland. However, with the ongoing construction last year, continuing the tradition at Moyer was out of the question. The planning committee from last year was concerned about moving the event to the Armory but in the end, it turned out to be an even more profitable year. Will Santa House feature anything new this year? This year Santa House will have a breakfast with the Minions on Saturday where Minion characters will be dressed up during breakfast. Additionally, several of the games are new and we’ve welcomed a new food vendor, Pinky’s Pit BBQ. Finally, the Mistletoe Market will have many brand-new commemorative Moyer items available for sale. People love to know what types of games will be featured and whether there will be a Bounce house? Assuming so, what is the cost and are any free tickets given out? There will be many fun “carnival-type” games and a bounce house for the kids. Additionally, there will be face painting and crafts for children. Bounce house rides are $1 each or an all-weekend bracelet for $10. The Games area includes a GAGA pit, Plinko, bottle flip, 2 liter ring toss, and many more! Free tickets went out to all neighboring schools. 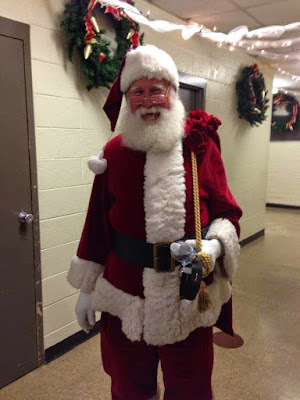 Do you think the Big Elf will be making an appearance this year or will Santa not be able to find the Armory chimney? The Big Guy will be there the whole time Santa House is open with a few short breaks to feed the reindeer. Pictures with Santa will be $5. (Editor’s Note: having taken all of my kids as infants through to older kids, there are many of Santa’s helpers posing as Santa but truly only the Moyer Santa House is the real one). I’m hungry just thinking about all the fun; what food options will there be? Our North Pole Café is really rockin’ this year! We will have coneys, hotdogs, chili, walking tacos, Hofbrauhaus hot pretzels, and new this year-Pinky’s Pit smoked pork sandwiches! Pinky’s is a Moyer family business that we grew to love at the summer Tower Park festivities. We are so glad they will be a part of Santa House! Don’t forget Blitzen’s Bakery-homemade delights to enjoy at Santa House or share later with friends and family. Will the Craft Boutique be back this year? 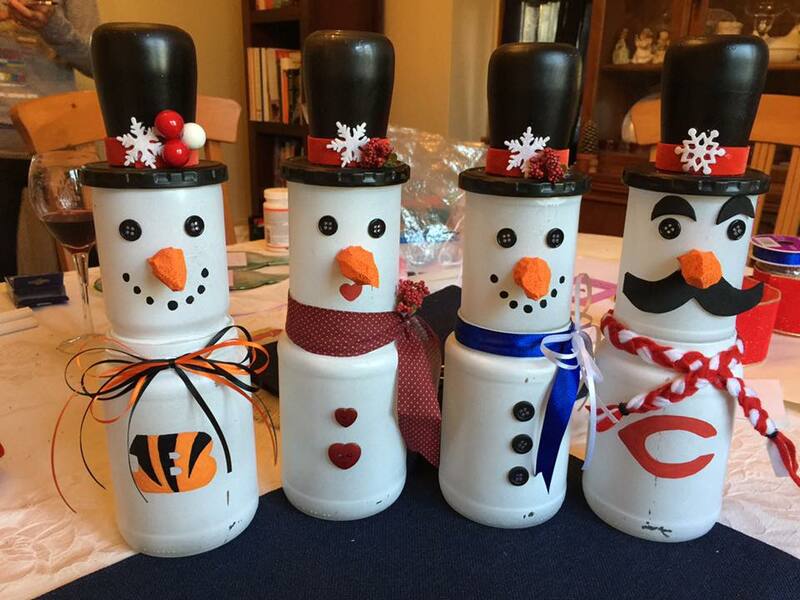 Santa’s elves have been hard at work creating some cool items! They have several Moyer commemorative items made from the school’s old stage curtain. We saved bricks from the construction site for current and past Mustangs to purchase. Pallet signs are a plenty, melted wine bottles, homemade scarves, wreathes, trees, and so much more. Come, see, and get all your holiday shopping done with us! I remember as a kid doing ALL of my Christmas shopping for my family at the Children’s Boutique and making crafts for friends there as well. Will there still be a Children’s Boutique? We have a Kid’s Crafting area where they can make their own small ornament. The Children’s Boutique is a very magical place just for the little ones. No grownups allowed. We have elves ready to help your kiddos shop for the people and pets in their lives. We will wrap all the treasures so they are ready to hand out during the holidays. It is my favorite part of the whole weekend! What should I bid on at the Silent Auction? Or better question, what shouldn’t I bid on!!! 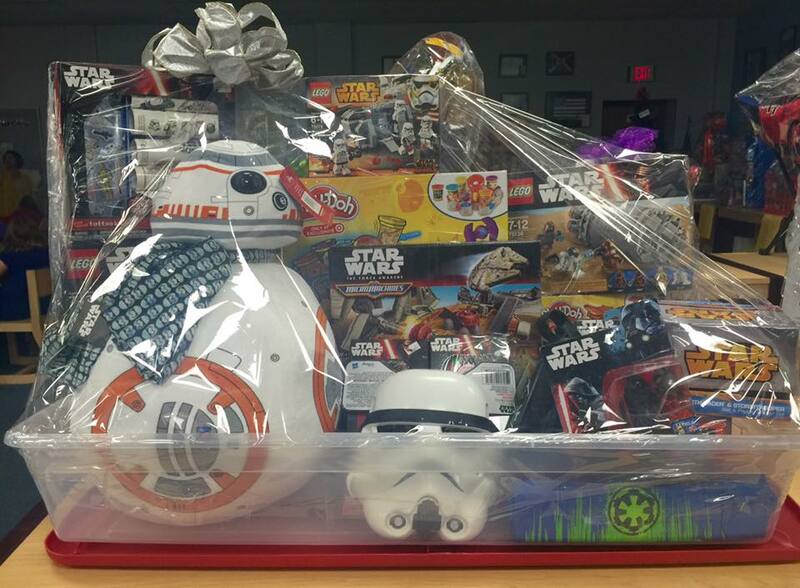 This year’s silent auction has some amazing items with something for everyone. A teaser list is provided at the bottom of this article. Anything I am missing? Also, new this year is the Family Sponsorship ornament. This is another great way to support Moyer. For a $25 donation, you receive a logoed Santa House ornament for 2016! We are also having our tried and true favorites-Gingerbread Houses with Mrs. Claus, Breakfast with Santa, and Lunch with the Ben-Gals. There will also be a $1,000 raffle. For more information and updates, be sure to like Ruth Moyer Santa House on Facebook! Don’t miss this great event… or you’ll end up on Santa’s naughty list! • The Ballet Lovers Dream: Tickets to see The Nutcracker, Ballet lessons with the company and autographed pointe shoes!